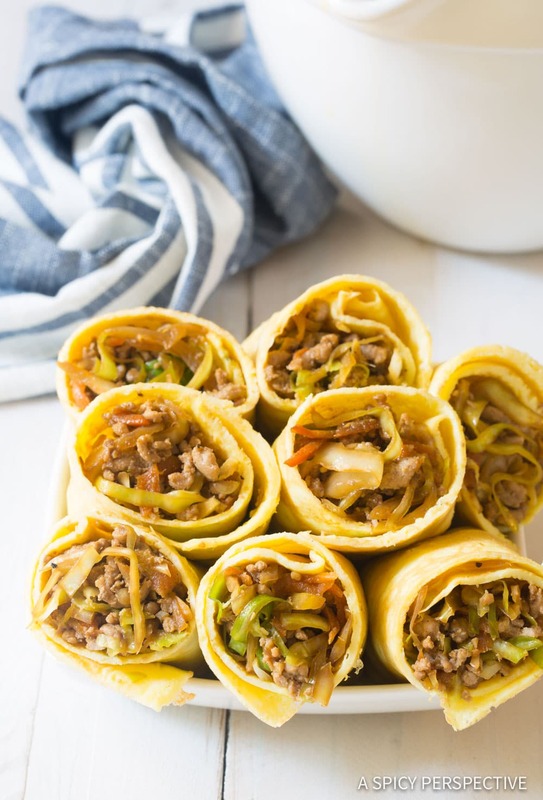 Keto Egg Roll Wrap Recipe – These Low Carb, Paleo, and Ketogenic egg rolls make a marvelous hand-held meal! Now that the kids are back in school I’m trying desperately to get myself back in shape. You see, I tend to slack a little (or a lot) on my workouts and healthy eating when I’m in a vacation mindset. I’ve been making satisfying meals and snacks, that cut out unnecessary carbs or junky ingredients. A friend recently told us he was doing the same, and was trying to stick to a Ketogenic diet. However, he said he gets bored of the recipes he’s found, then falls into temptation. This conversation made me realize that the last several recipes I’d made happened to be Keto, and were certainly not boring. 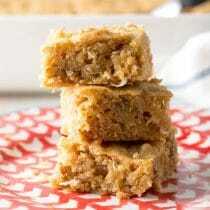 So today I want to share one of these exciting recipes with you… And him. 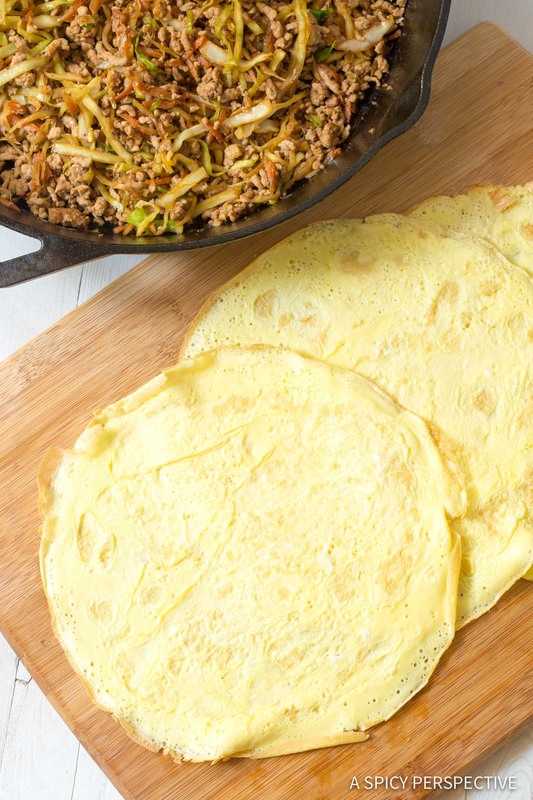 Today’s Keto Egg Roll Wrap Recipe is low carb, high protein, paleo-friendly and oh so delicious! 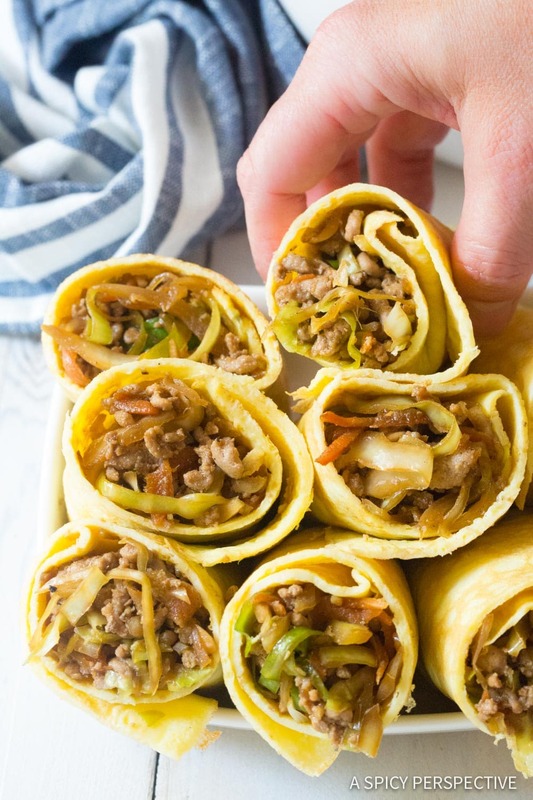 Each little egg wrap is filled with zesty pork and cabbage “egg roll” filling, then rolled into baby burritos so the filling doesn’t fall out. Although you loose the crunch of traditional fried egg roll wrappers, you gain a ton of protein. 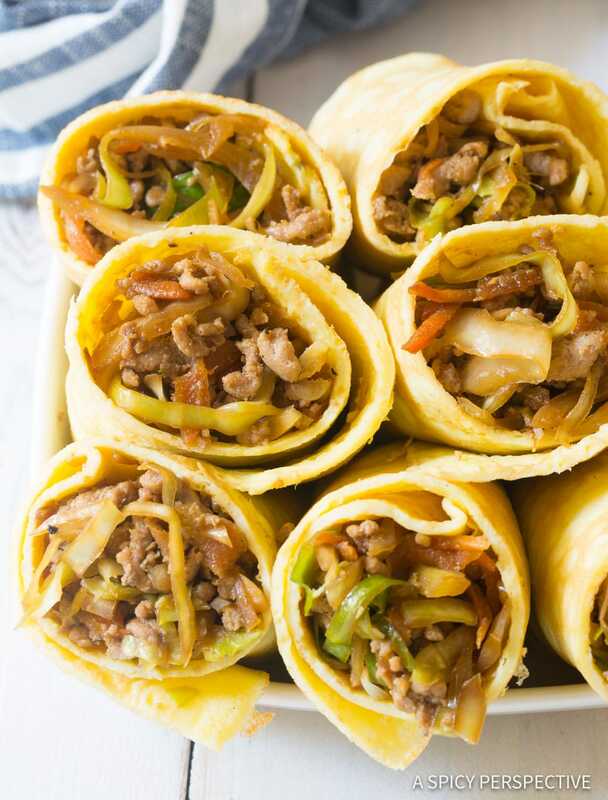 Plus, this Keto Egg Roll Wrap Recipe makes 6 large rolls, or 12 half rolls, that are bold and flavorful served warm or at room temperature. They make great leftovers and lunch box items. In fact, Lt. Dan kept pulling them out of the fridge and eating them cold, with lots of Mmmmmms on the side. The seasoning in the filling should be a little strong, to ensure it shines through the layers of scramble egg. 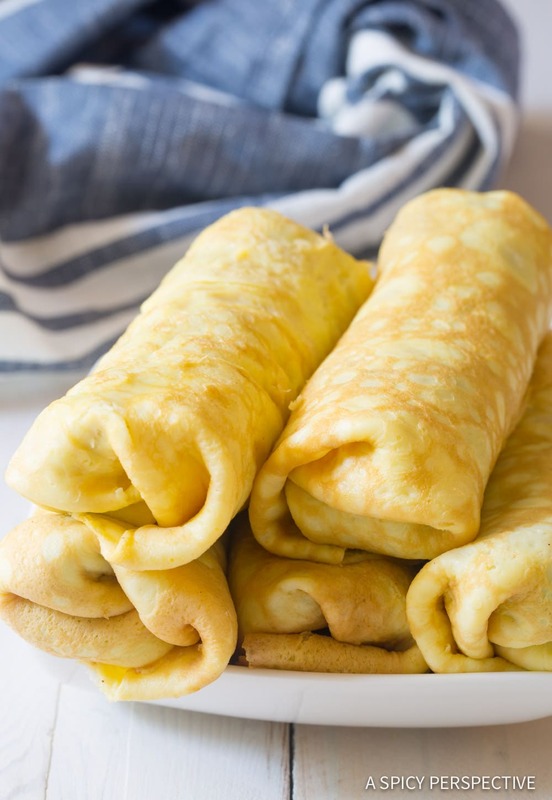 Egg wraps are super easy to make. 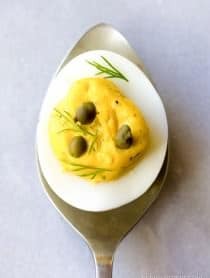 Just be sure to use a goo nonstick skillet so the cooked eggs slip right out onto a cutting board. 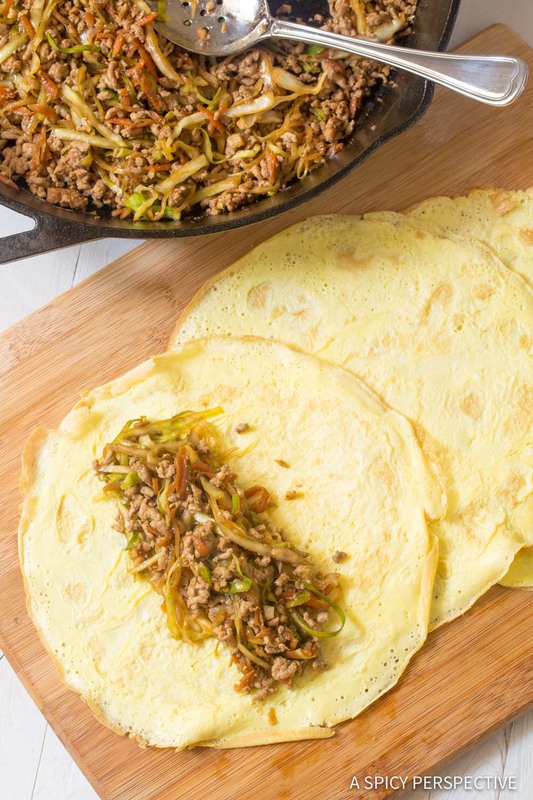 Use a flat silicone spatula to flip the egg wraps. When rolling the egg wraps, be sure to tuck the sides in continually, so the filling is secure and doesn’t leak out. Keto Egg Roll Wrap Recipe - these Low-Carb, Paleo, and Ketogenic egg rolls make a marvelous hand-held meal! 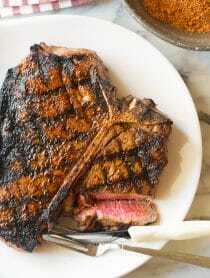 Place a large skillet over medium-high heat. Add the sesame oil, ground pork, grated ginger, and garlic. Brown the ground pork and break it into small pieces with a wooden spoon. 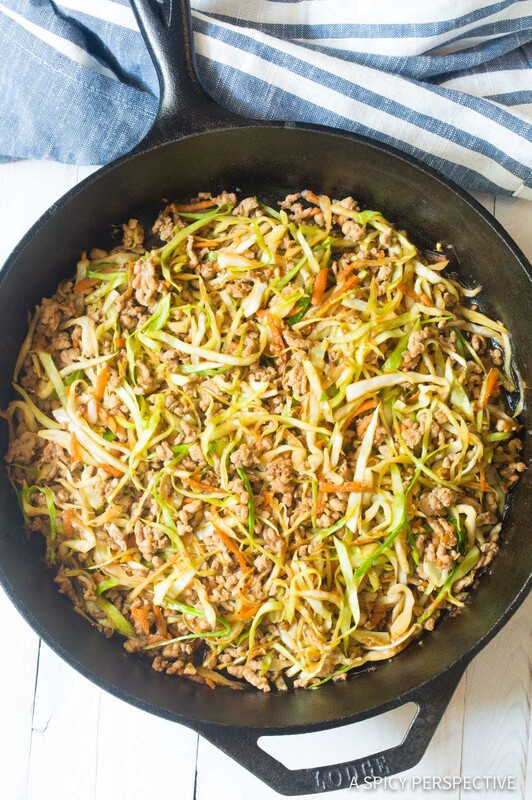 Once the pork is mostly cooked through, stir in the shredded cabbage, carrots, and soy sauce. Cook until the cabbage has softened, about 5 minutes. Taste, then salt and pepper as needed. Meanwhile set a 8- to 9-inch nonstick skillet over medium heat. Crack the eggs into a measuring pitcher, until you have 2 cups worth. Add the salt and whisk until frothy. Add 1 teaspoon of oil or butter to the skillet. 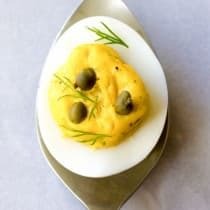 Use a 1/3-cup scoop to portion the egg mixture into the skillet. 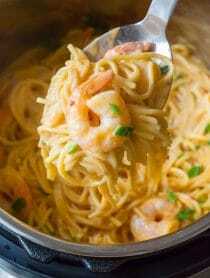 Swirl it around the skillet into an even layer and cook 1-2 minutes. Once set, carefully flip the egg wrap and cook another 30-60 seconds. Then move it to a cutting board. Repeat five more times with the remaining butter/oil and eggs. Lay each egg wrap out and scoop 1/6 of the pork filling on one half of each wrap. 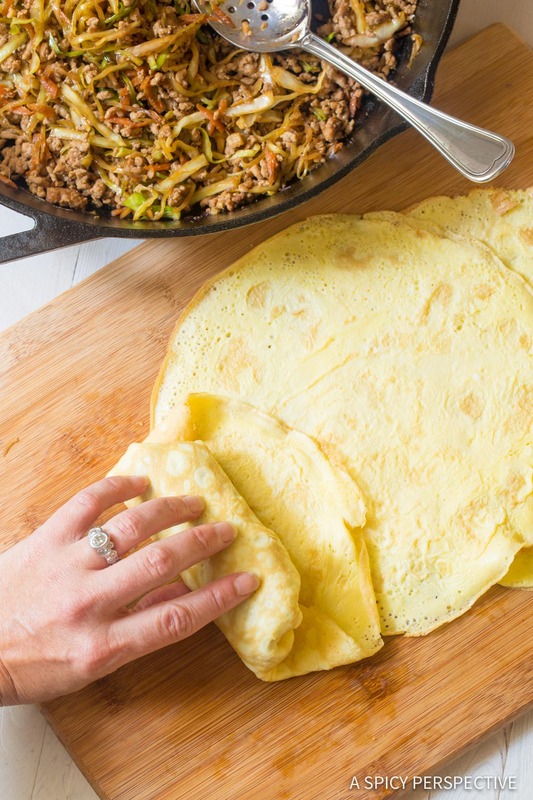 Fold the edge of the egg wrap over the filling and fold the sides inward, like a burrito. Roll the egg wrap, tucking in the edges to fully enclose the filling. Serve as-is, or cut in half. Serve warm or at room temperature. These actually make great leftovers and lunchbox items! I do love egg rolls especially the crunch. Do you think if I secured the ends with toothpicks or wrapped with twine that the egg would hold up to being deep fried? Hi sommer…! 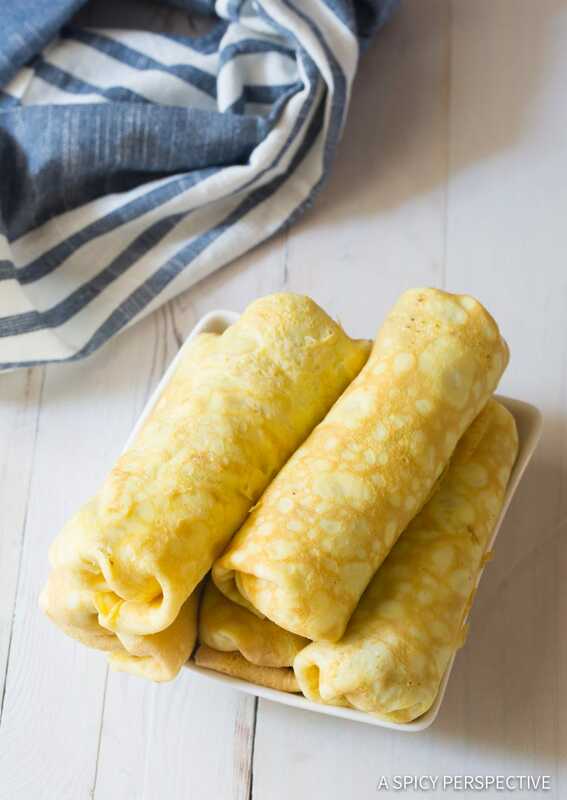 this egg roll warp looks marvellous and this is perfect low carb and healthy recipe….i will make it in this upcoming weekend..thank for sharing…..! Great idea for a low carb regimen! 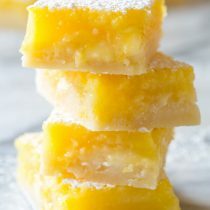 Will make in two days. 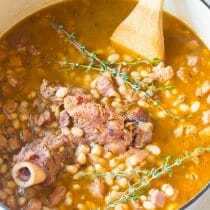 Can tell you right now, this is an excellent recipe. Thank you!